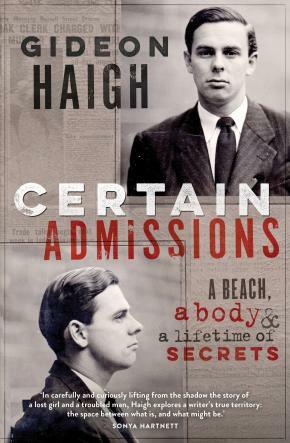 Certain Admissions is Australian true crime at its best, and stranger than any crime fiction. It is real-life police procedural, courtroom drama, family saga, investigative journalism, social history, archival treasure hunt - a meditation, too, on how the past shapes the present, and the present the past. On a warm evening in December 1949, two young people met by chance under the clocks at Flinders Street railway station. They decided to have a night on the town. The next morning, one of them, twenty-year-old typist Beth Williams, was found dead on Albert Park Beach. When police arrested the other, Australia was transfixed: twenty-four-year-old John Bryan Kerr was a son of the establishment, a suave and handsome commercial radio star educated at Scotch College, and Harold Holt's next-door neighbour in Toorak. Police said he had confessed. Kerr denied it steadfastly. There were three dramatic trials attended by enormous crowds, a relentless public campaign proclaiming his innocence involving the first editorials against capital punishment in Australia. For more than a decade Kerr was a Pentridge celebrity, a poster boy for rehabilitation – a fame that burdened him the rest of his life. Then, shortly after his death, another man confessed to having murdered Williams. But could he be believed?